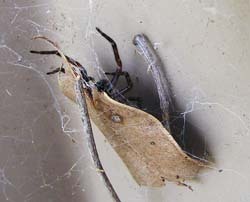 B. longinqua tend to make messy webs on foliage. 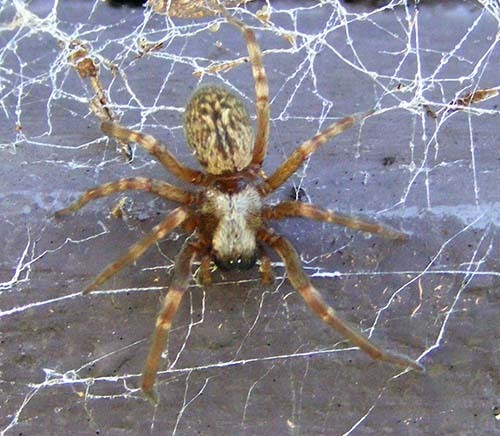 Their webs are not sticky and they rely on tangling the feet or wings of prey. 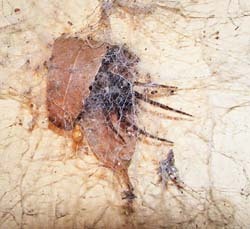 The webs below are on walls and show how this spider builds a little bit of leaf material or something into their shelter for extra protection. 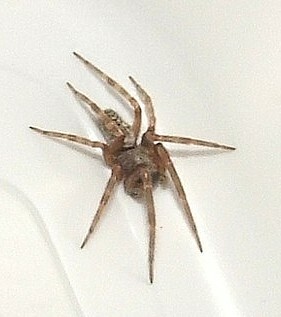 Right is a male while below is a female. B. insignis looks very similar. They grow to about 12mm or so. 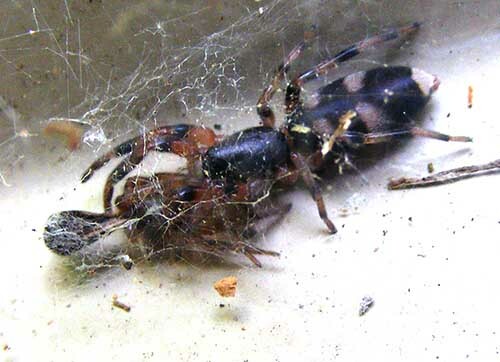 Because they stay in their webs for so long they are a main prey item for White Tails, wasps, Huntsman Spiders and a number of other predators.